Months after being Greenlit by 20th Century Fox for his new Alien movie pitch, Blomkamp has given us the first new look at the film he is working on with a pic via instagram. 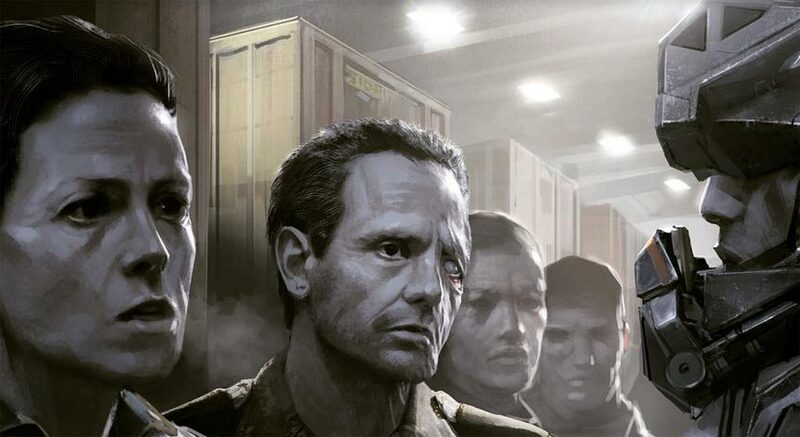 Blomkamp's previous films were both good (District 9) and merely ok (Elysium), but his take on Alien, through all the shared concept art that shows he knows what should be- or what rightfully should have been- happening, will hopefully avoid pulling a Ridley Scott and crapping on his own saga with something like Prometheus. I have an odd faith that Blomkamp can pull this off. He's got all the perfect ingredients- a reverence for the franchise, the iconic xenomorph aliens, Ellen "The biggest badass ever" Ripley (Sigourney Weaver), and Corp. Dwayne "The next biggest badass ever" Hicks (Michael Biehn). He also has a nice bit of continuity that the 3rd and 4th film lost through the magic of poor storytelling. So really, if this goes anywhere near as well as it looks according to all the conceptual art, it could be the perfect rejuvenation for a listless franchise.